Lynda Smith, the amateur genealogist who unknowingly found herself at the root of the false “Elizabeth Warren is 1/32 Cherokee” meme introduced to the media by “noted” genealogist Chris Child of the New England Historic Genealogical Society, acknowledged in an email to me this past Saturday, May 12, that her statement in a March 2006 family newsletter upon which Mr. Child based his claim of Ms. Warren’s Cherokee ancestry was made with no supporting documentation. It was, in fact, an honest mistake that Ms. Smith now acknowledges is entirely without foundation. Ms. Smith had been quoted in a statement in a March 2006 newsletter that William J. Crawford had listed his mother, Ms. Warren’s great-great-great grandmother O.C. Sarah Smith, as a Cherokee on an 1894 Oklahoma Territory marriage license application (emphasis added). In addition, she acknowledged that the same statement in her posting at a rootsweb page about William J. Crawford was made based on no documentation. Ms. Smith was assisted in unraveling this mystery, and coming to the realization that this statement had no basis in documentation, by Sam Morningstar, a fellow amateur genealogist who states that he is an enrolled member in a Native American tribe. Mr. Morningstar began investigating Ms. Warren’s purported Cherokee ancestry on May 1, the day that “noted” genealogist Chris Child of the New England Historic Genealogical Society was quoted saying in the Boston Herald that he had discovered a “marriage certificate” from 1894 that confirmed Ms. Warren’s claim of Native American ancestry. And unfortunately [he concludes], “And with my health is such bad shape I am slow in responding.” I don’t have the return address and it was several years ago. It also looks like Donald Richardson is just stating he saw this name on the marriage license and makes no mention of “Cherokee” either. Somehow this bit of “Indian/Cherokee” blood lore got grafted onto the article about O.C. Sarah Smith. There is no support for this however. There are rumors of Indian blood along this line SOMEWHERE (or associated families) but it doesn’t appear to be supported by any documents. The extant documents do show O.C. Smith living in White American society with no apparent tribal affiliation. Also, her parents Wyatt and Margaret (Peggy) testified in court in TN…to verify John Curtis/Dolly Honeycutt marriage in Chatham NC in 1793. This would indicate a couple that was part of Anglo/settler society. Margaret in particular is a little mysterious at this point, but the fact that she is allowed to testify in court and has knowledge of a marriage in Chatham NC in early 1790s wouldn’t point to a connection with a Cherokee community. Wyatt is found in more documents and he is clearly not affiliated with the Cherokee community. He was from early settler stock. Sam Morningstar also confirmed my earlier reporting that marriage license applications were not used in Logan County, Oklahoma in 1894, though he cites an earlier start date for their use (1897) than I had speculated. His source, however, the President of the Logan County Genealogical Society, is likely to defer to the research into this issue currently being conducted by the most authoritative source on the matter–Logan County Court Clerk ReJeania Zmek. In a May 12 email to me, Mr. Morningstar described his Native American background, his interest in genealogy, his pursuit of the truth in the Elizabeth Warren ancestry case, and the stonewalling he experienced from Mr. Child, the genealogist at the New England Historic Genealogical Society who planted the false “1/32 Cherokee” meme in the mainstream media on May 1. At the same time, I contacted Lynda Smith and she passed on the original letter from the relative that stated William J. Crawford listed his parents as J. H. Crawford and O.C. Smith – there was NO mention of “Cherokee” there either. It was just standard family genealogy. So, the “Cherokee” claim is somehow grafted onto the Lynda’s quote in the 2006 newsletter. This is like the game of Telephone where the story gets embellished, added on to, and changed over time. Finally, this is what Mr. Child picks up on and runs with – and of course, the mainstream media repeats this over and over. Mr. Child of the New England Historic Genealogical Society appears to have commented publicly on the Elizabeth Warren story on only one day: May 1, 2012. In an unusual move by the New England Historic Genealogical Society, all statements attributable to a specific individual from that organization made May 2 or after came from Director of Marketing Tom Champoux. Mr. Champoux, interestingly, is not a genealogist by profession but instead specializes in marketing and media relations. As I noted in my Breitbart article May 11, on May 2, the Boston Herald reported that the New England Historic Genealogical Society had changed its story. Mr. Child was no longer the spokesman. In his place was Director of Marketing Tom Champoux, who now called the source document “a[n] electronic transcript of a[n] 1894 marriage application,” without describing the source of that electronic transcript. Michael, NEHGS is not conducting research on Elizabeth Warren nor are we commenting beyond what has already been covered by the media. 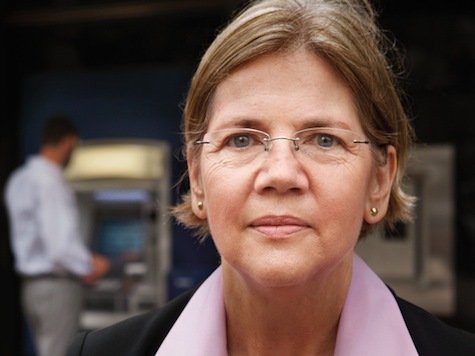 In contrast to the honest amateur genealogists like Ms. Smith and Mr. Morningstar who have determinedly pursued the truth of the Elizabeth Warren ancestry story, the New England Historic Genealogical Society has failed to acknowledge its errors and is now stonewalling the entire Elizabeth Warren matter. Just as “grassroots” tea party activists have successfully challenged a corrupt political establishment, and new media has challenged a lazy and biased mainstream media establishment, the same phenomenon is unfolding within the genealogy community. It now appears that the source of historical accuracy and honest integrity in genealogical research is far more likely to be found among amateur “grassroots” genealogists than with established and prestigious institutions like the New England Historic Genealogical Society.